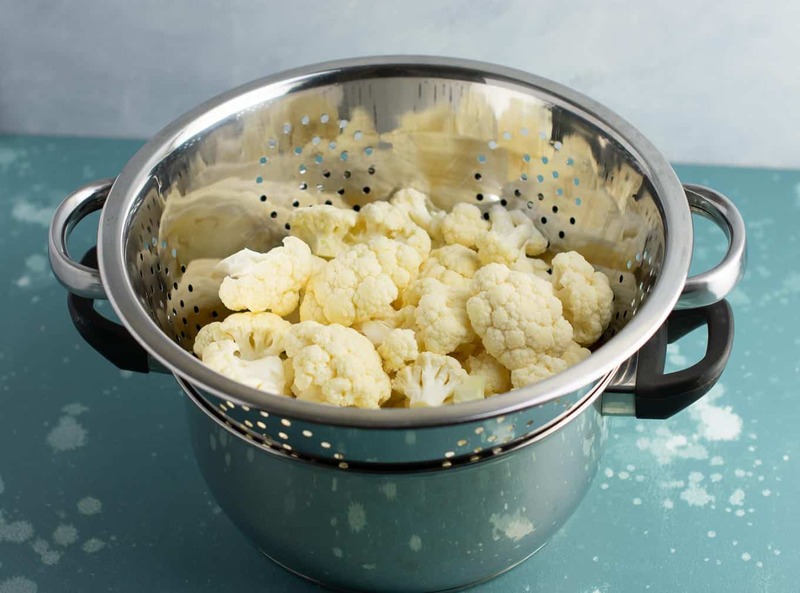 One of my favorite ways to eat cauliflower is to steam it. 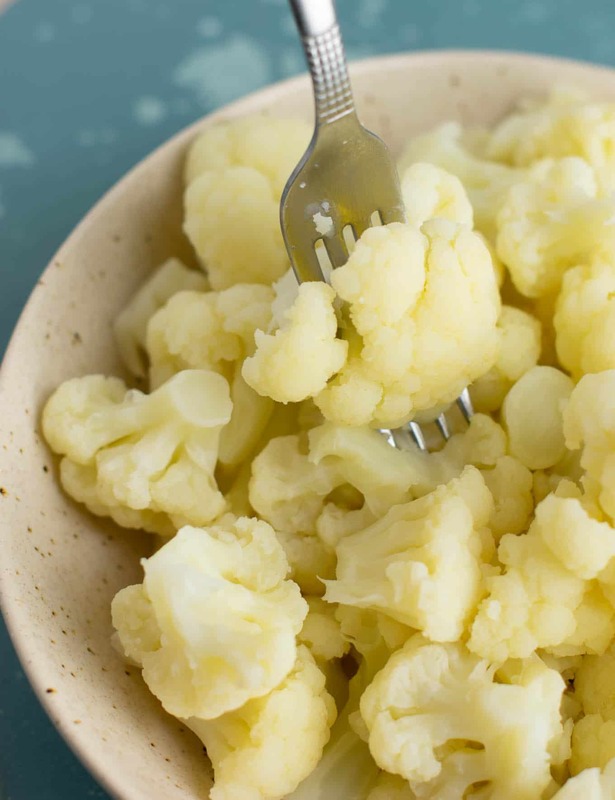 Steamed cauliflower can be used for so many things – from side dishes to mixed in pasta, turned into sauce, cauliflower rice, and more! 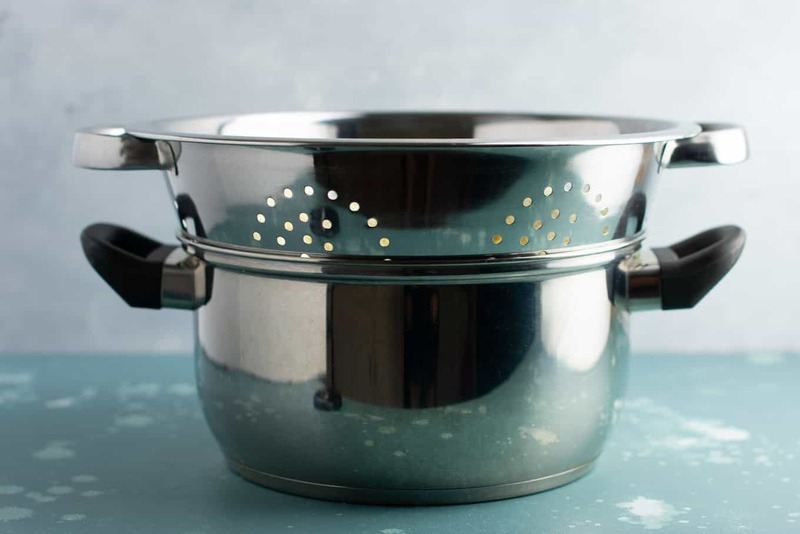 The only kitchen tools you will need are a medium sized pot and fitting lid, and a metal strainer. The size pot you need will probably be the one that you cook spaghetti in. Medium sized, holds a lot, but not massive. First, cut up your cauliflower into florets. Place florets into the metal strainer. 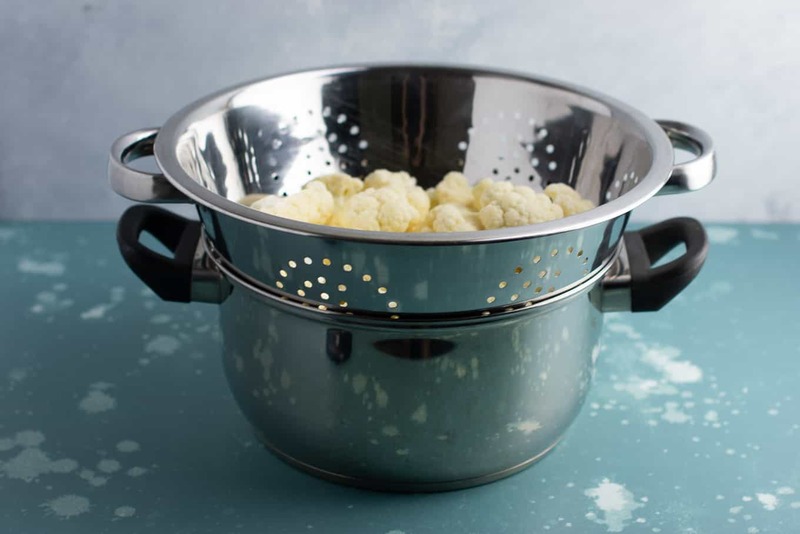 You want to make sure that your strainer fits into the pot nicely, but leaves several inches of space at the bottom. You don’t want the strainer to be touching the bottom of the pot. 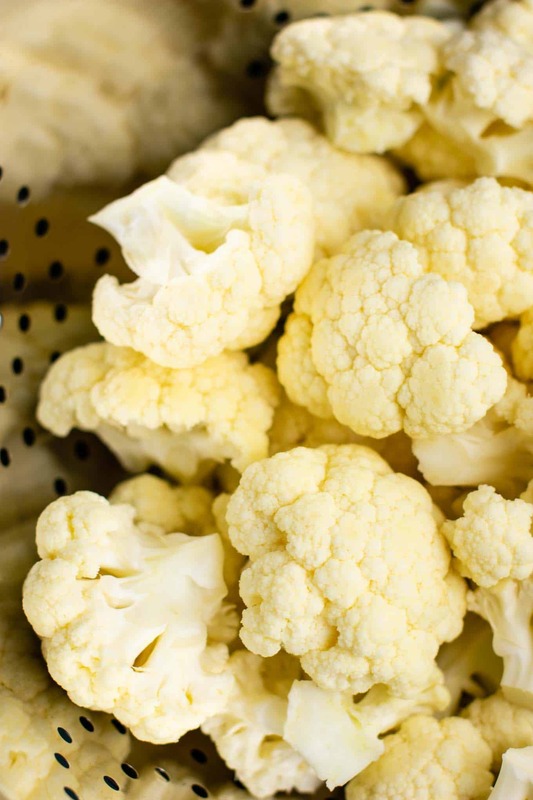 Once you cut up your cauliflower, it’s time to steam! Place a few inches of water into the bottom of the pot. You basically want to add as much as possible without getting too close to the bottom of strainer. Once you’ve done this step, you can place the pot on a burner over medium high heat. 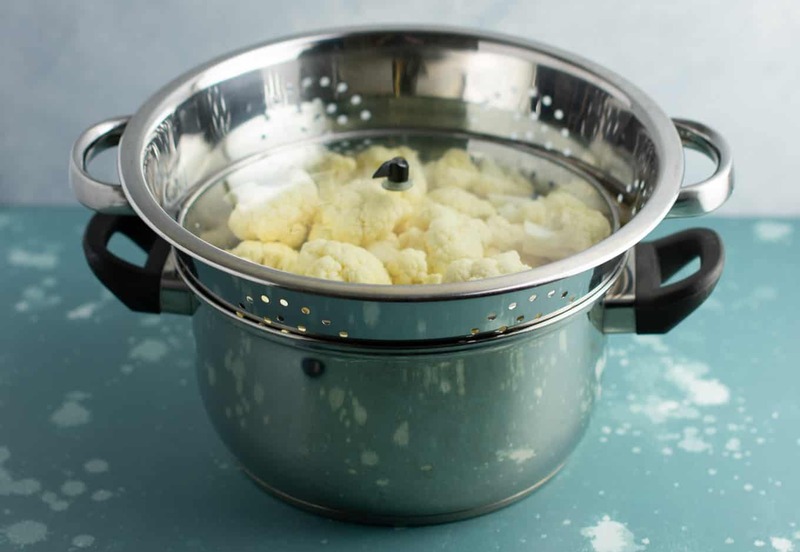 This traps the steam which will cook the cauliflower. This method is perfect for me because it uses kitchen pots and pans that I use in everyday life. I once purchased an actual steamer, and it was such a pain to use and clean that I just stopped using it all together. This method works WAY better for me and is so simple to do. The only thing that you need to watch out for when steaming this way is that the water does not all evaporate. Every 5 or 10 minutes, check the pot to make sure there is still water in the bottom. If it gets low you need to add some more. 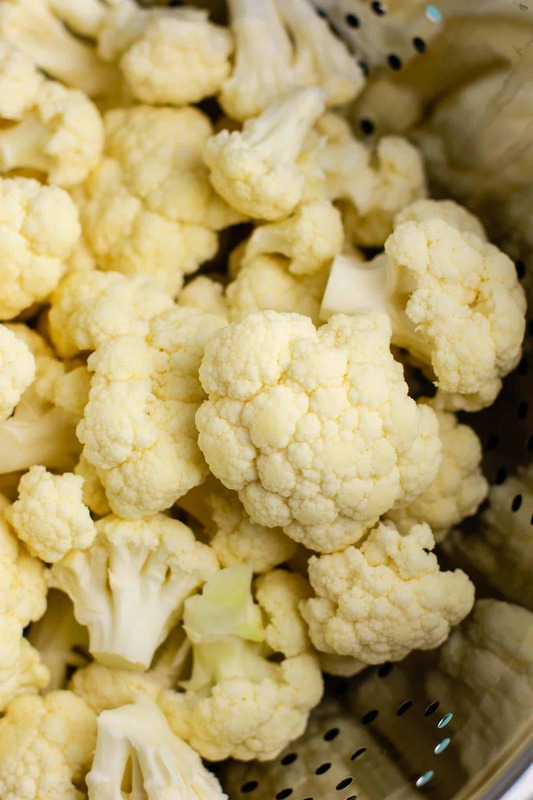 This will depend on how you want your cauliflower for the dish you are making. 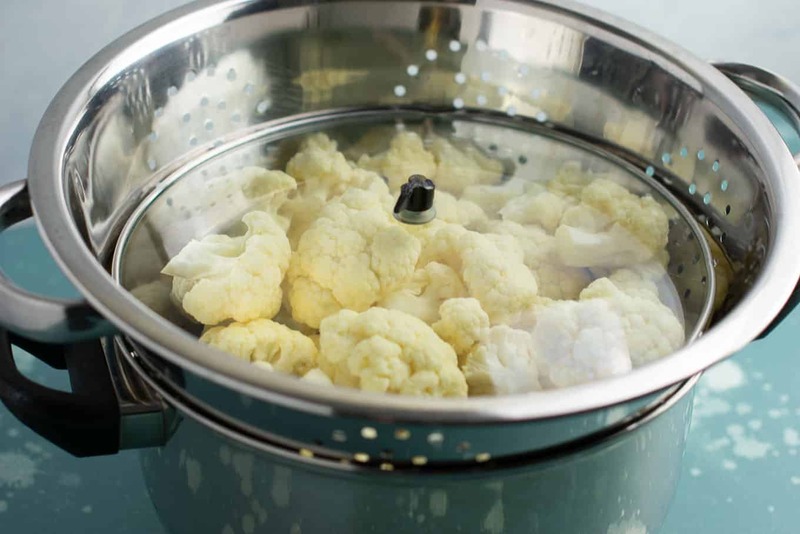 Anywhere from 15 – 30 minutes can be how long to steam cauliflower. 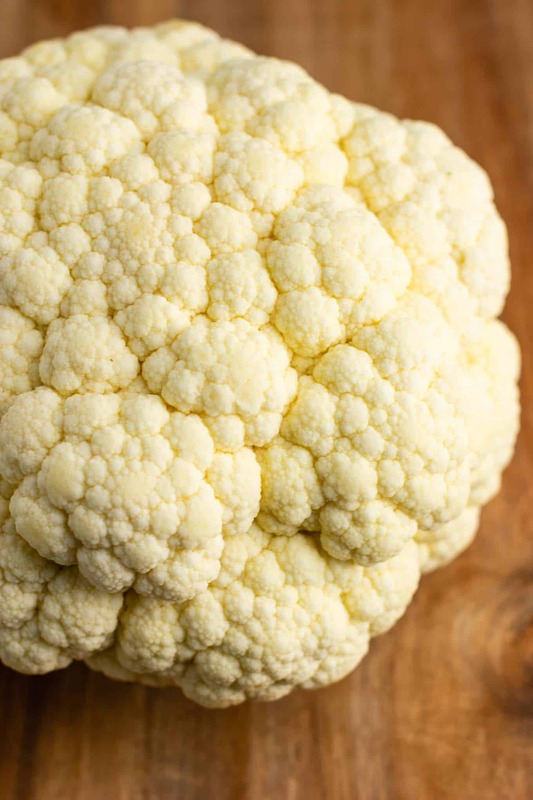 If you are making cauliflower rice, or want your cauliflower with a little bit of texture still, check often after 10 or 15 minutes until it is cooked to your liking. 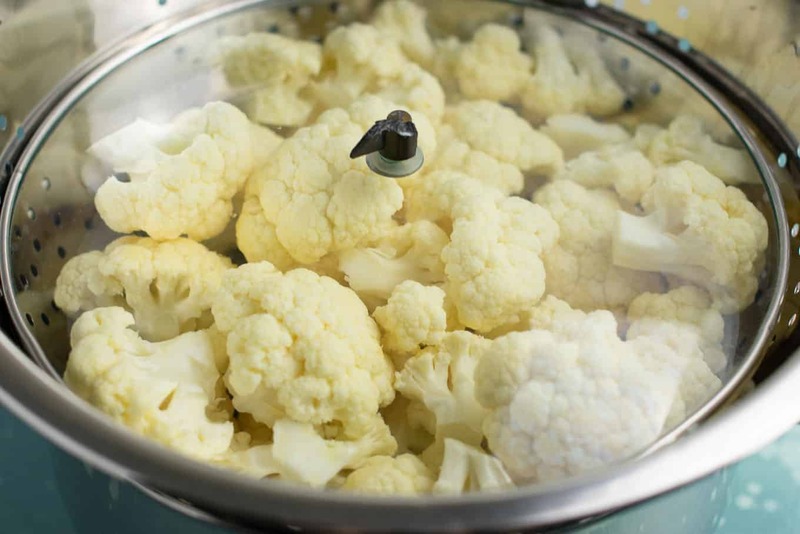 For me, I usually steam my cauliflower for around 20 – 30 minutes, until it is fork tender. I know that it’s done when I can easily run a fork through it and the cauliflower falls right apart. There are so many options! Here are a few favorites of mine. 1. 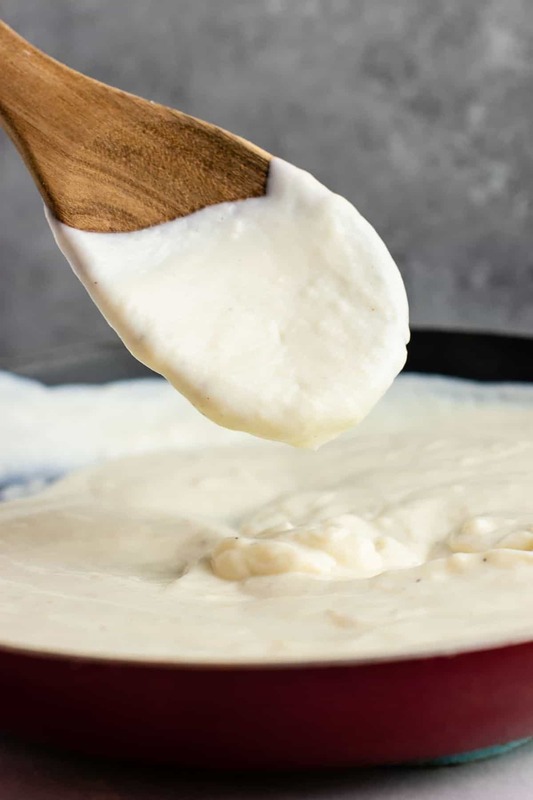 Make it into cauliflower alfredo sauce – this is my FAVORITE way to eat cauliflower. You will not believe how incredibly decadent this sauce is! 2. Pair with veggies and penne for this mushroom cauliflower alfredo pasta bake – total comfort food! 3. Serve with melted butter (or vegan butter), salt, pepper and any other spices you love for a healthy and delicious side dish! 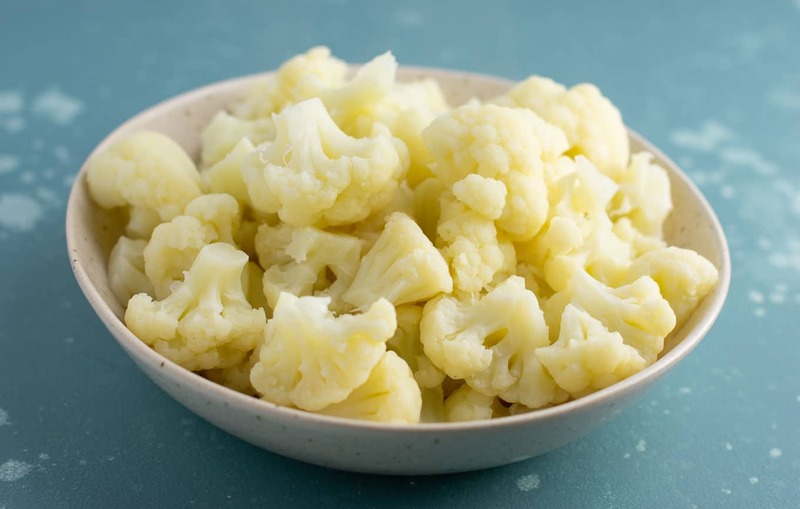 Do you have a favorite way to eat steamed cauliflower! Share it in the comments!